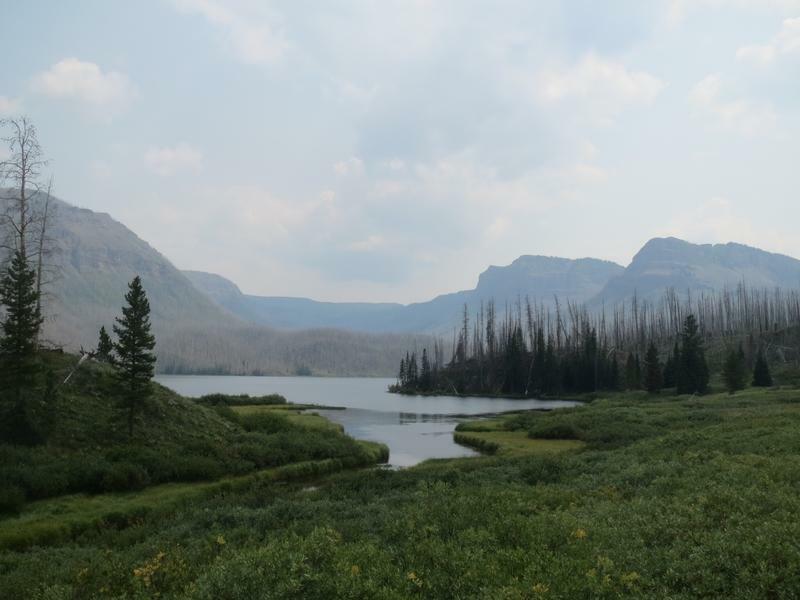 Trappers Lake, aka “Cradle of Wilderness”, in the Flat Tops Wilderness. 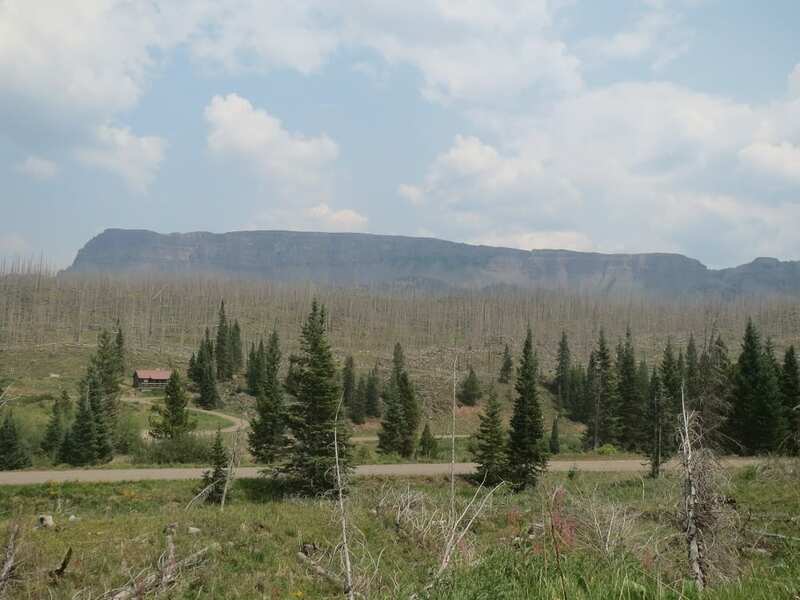 Flat Tops Trail Scenic Byway is a secluded, 82-mile stretch in beautiful Northwest Colorado. 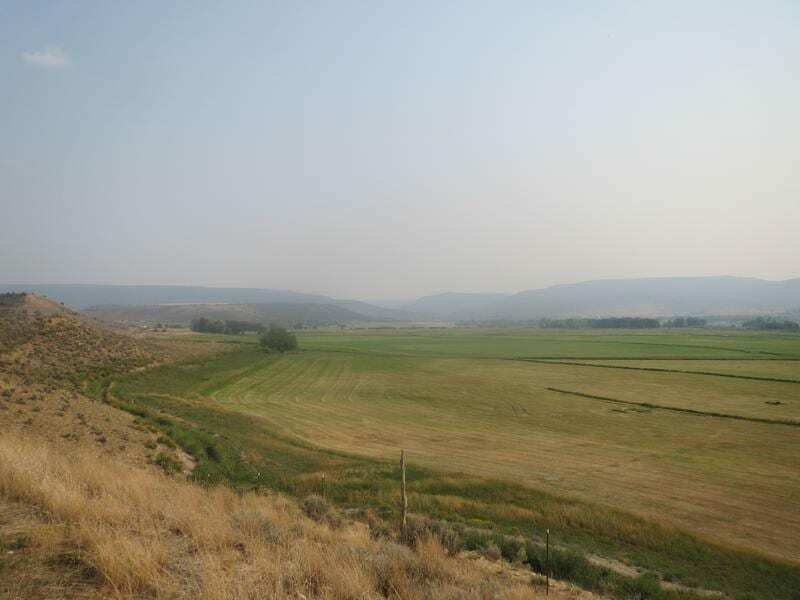 It connects the towns of Yampa (to the east) and Meeker (to the west). 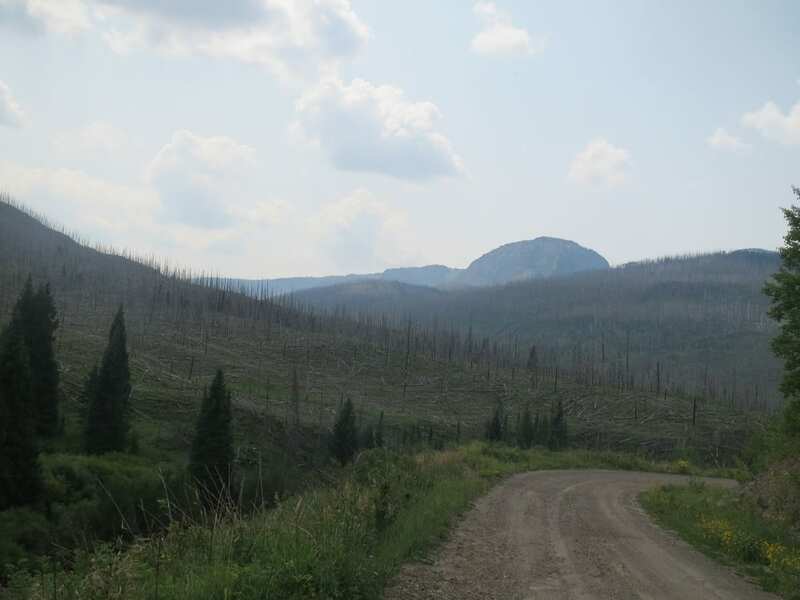 Although remote, active ranches, mines and logging exist along the drive, with something around every turn. 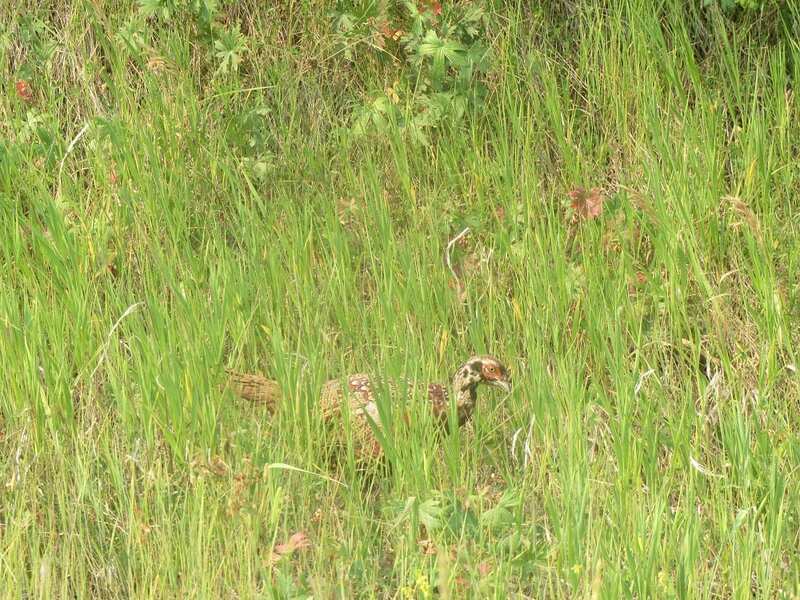 The drive is at a leisurely pace, usually around 2.5 – 3 hours. About half the trip is on a smooth gravel road, the other dirt. 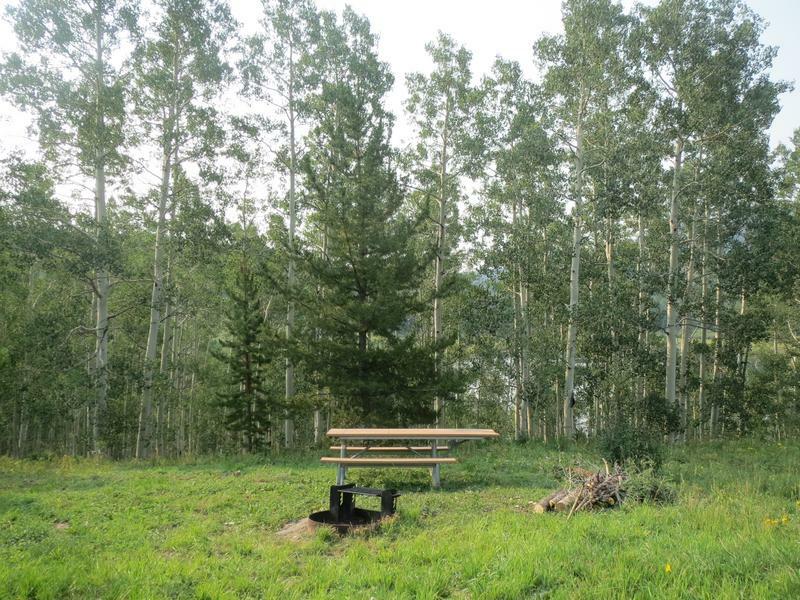 Camping is outstanding in this remote location, with plenty of recreation to occupy your time. 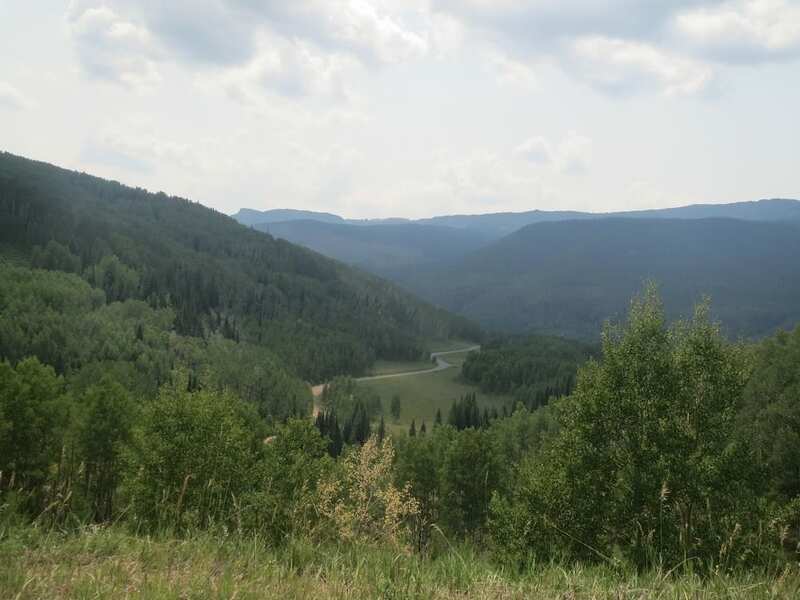 The drive accesses both the Routt and White River National Forests. 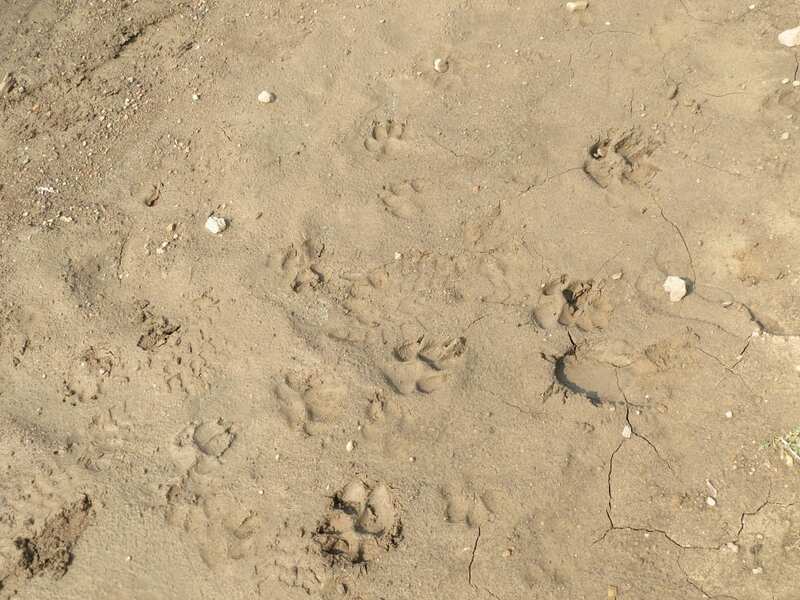 Many primitive spots can be found directly off the byway. More spots can be found off almost any dirt road. 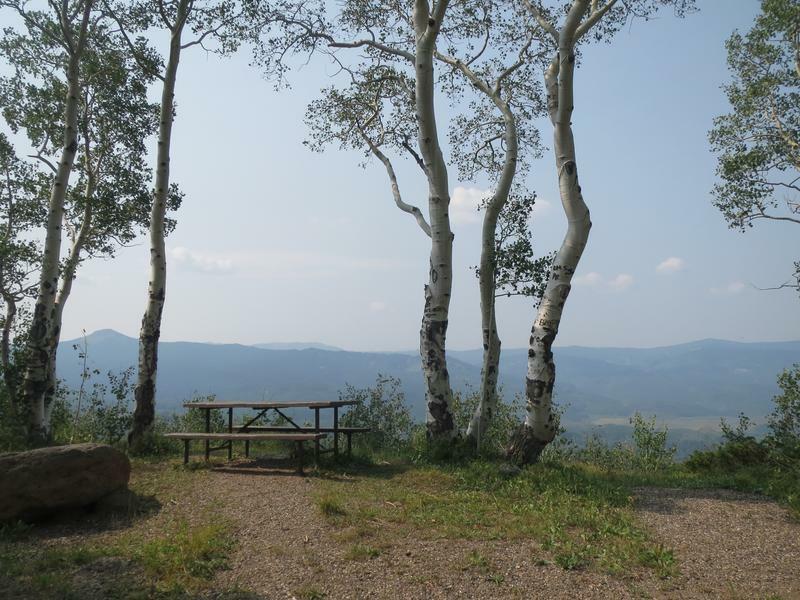 National Forest campgrounds are well marked with many to choose from. 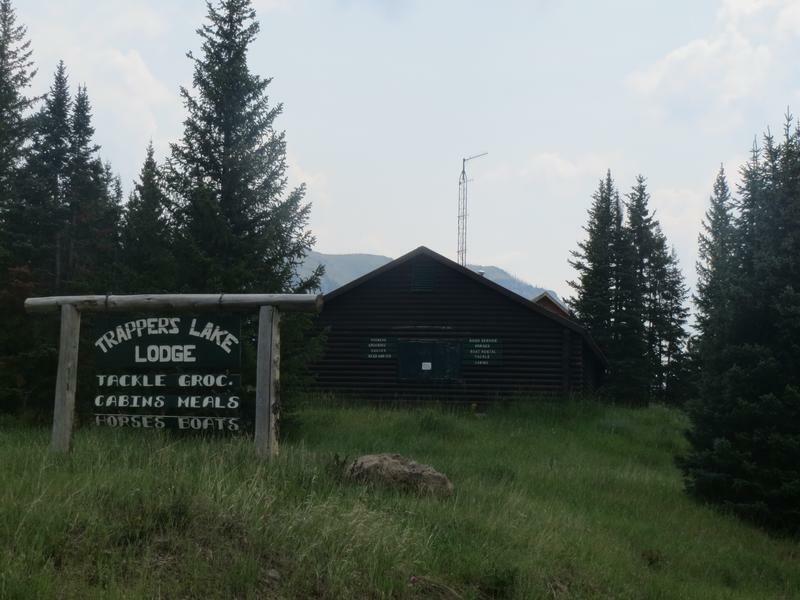 Many campgrounds are close to lakes, like Trappers or Chapman. 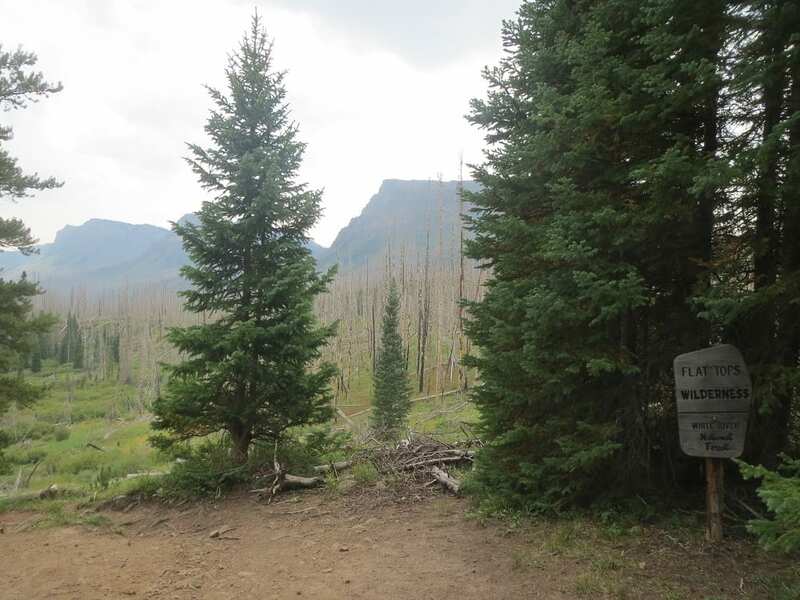 The Flat Tops Trail is a remarkable place to get away to and enjoy nature in Northwest Colorado. 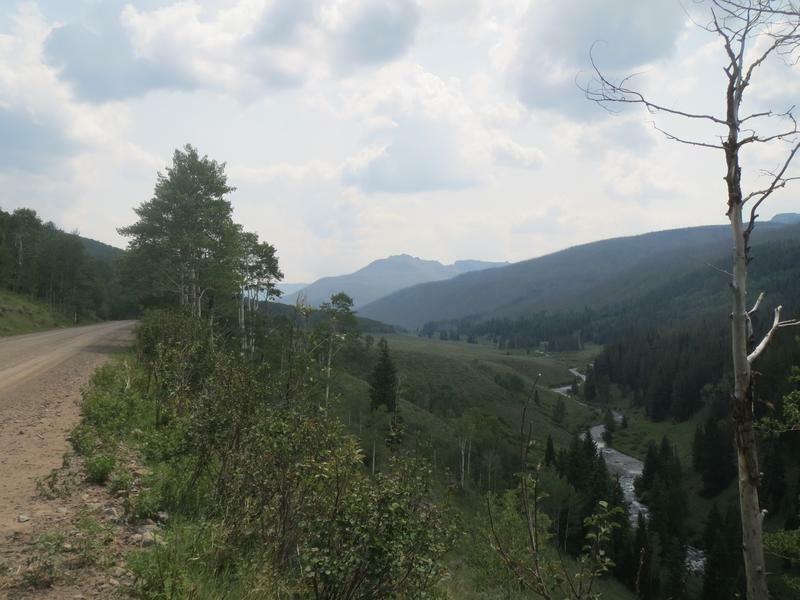 Connecting Meeker and Yampa, this 82 mile byway is suitable for mostly all cars. 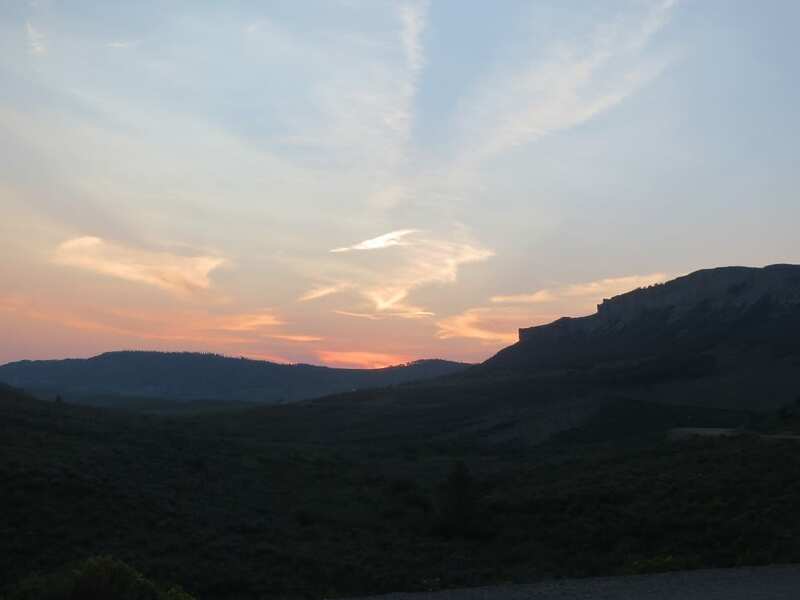 Gas up in Meeker or Yampa, as there is no where else to fill once on the drive. The drive takes anywhere from 2.5 hours and up, depending on stops. There is some winter access for recreation like snowshoeing, cross country skiing, and snowmobiling. 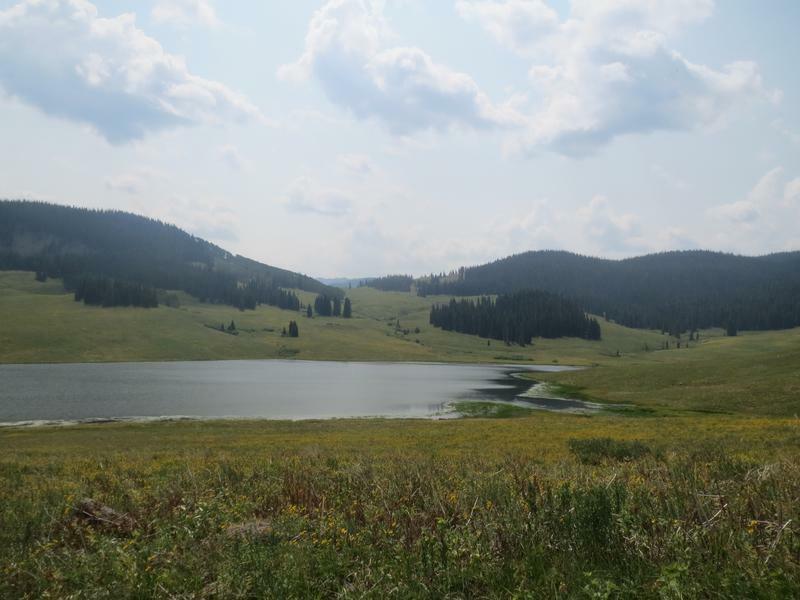 Summer/fall recreation includes biking, camping, fishing, hiking and hunting. Gas up in Yampa or Meeker before you head out. There’s nothing on route. The only public restaurant on route is the Trappers Lake Lodge, open seasonally, near the middle of the drive. It’s a nice refreshment after driving on this remote byway. 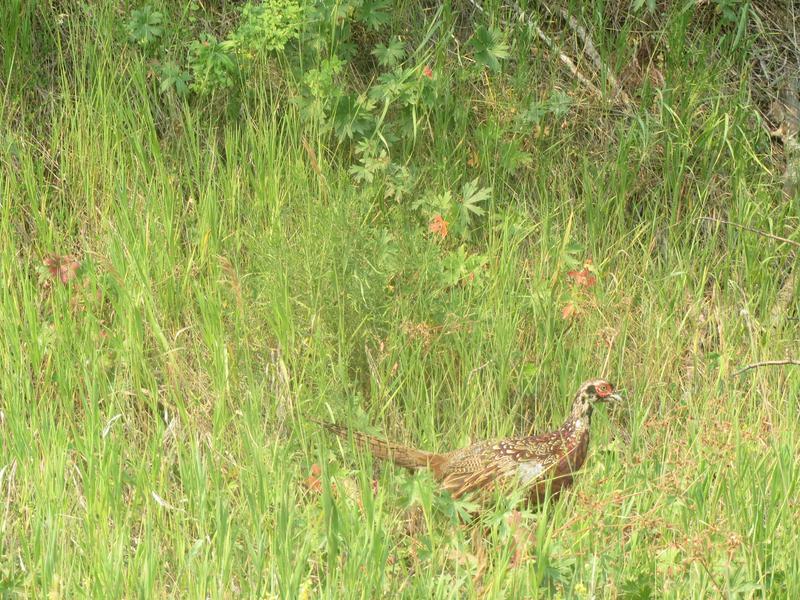 They also rent out cabins, and do horseback, fishing and hunting tours. 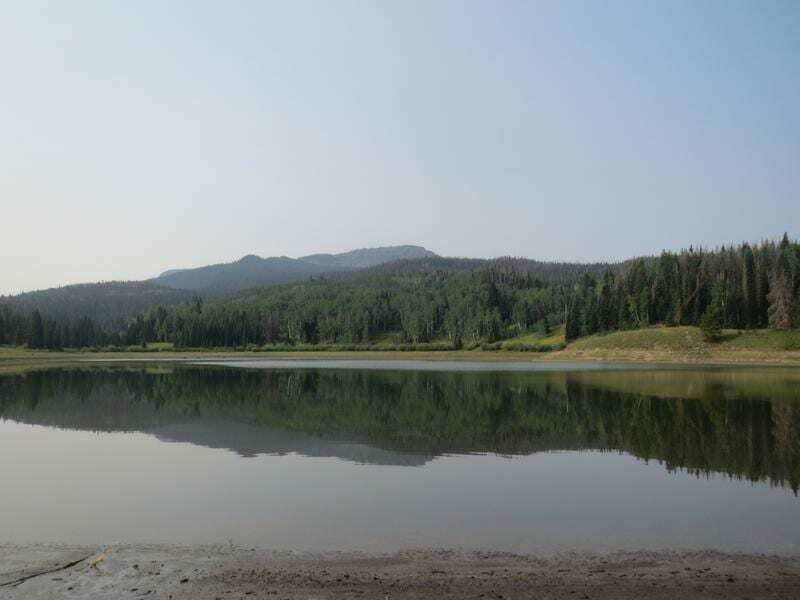 Trapper’s Lake in a minor, 6-mile detour near of the middle of the byway. Known as the “Cradle of Wilderness”, it’s a must stop. It’s the 3rd largest natural lake in Colorado. 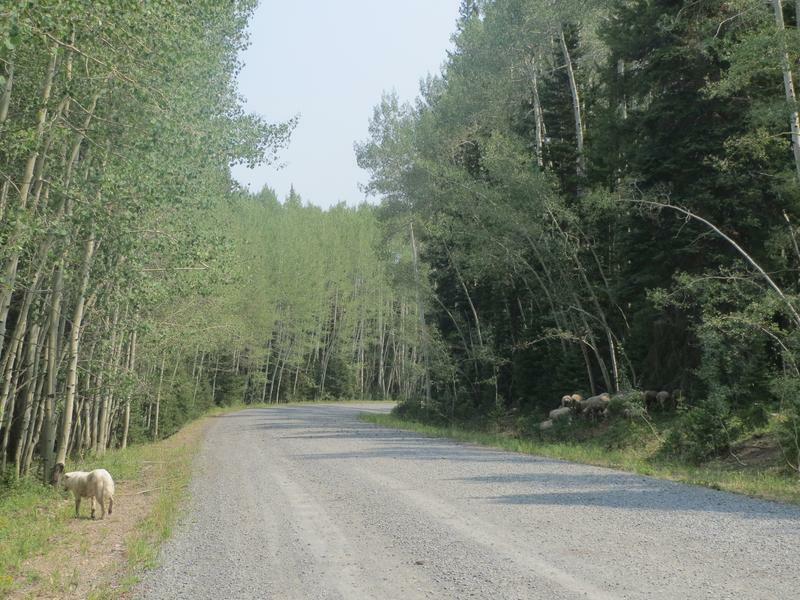 Signs mark the turn for Trappers Lake Road. 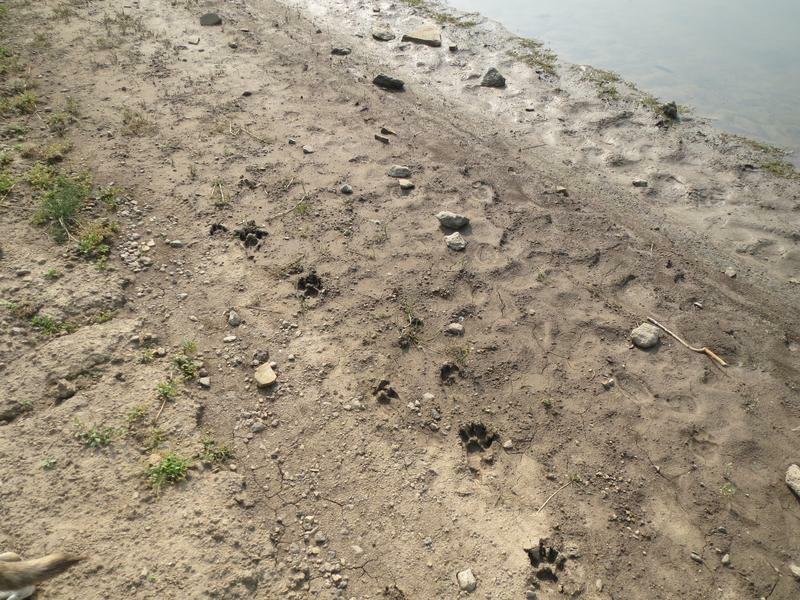 Boating – Wakeless boating in 300-acre Trappers Lake. Boats must be hand-launched from a trail. 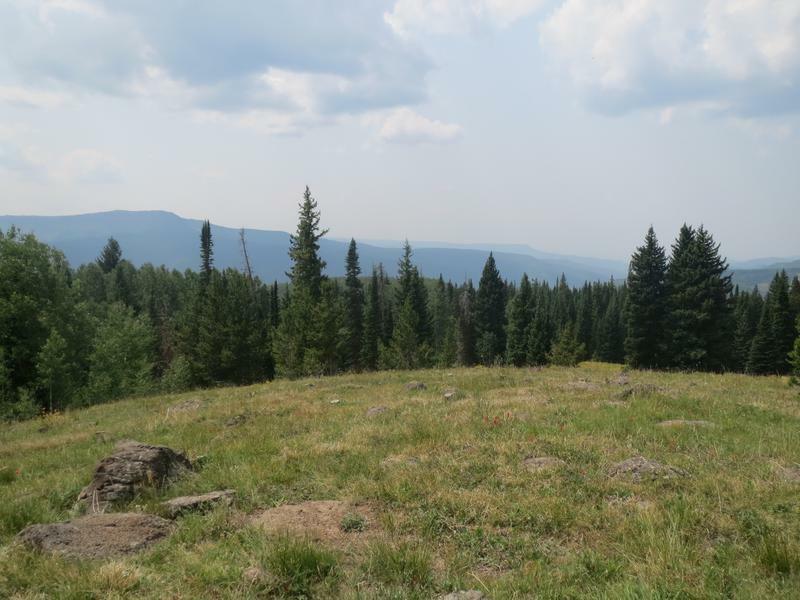 Camping – It’s easy to find both primitive car camping and campgrounds along the majority of the drive, especially on the Yampa side. 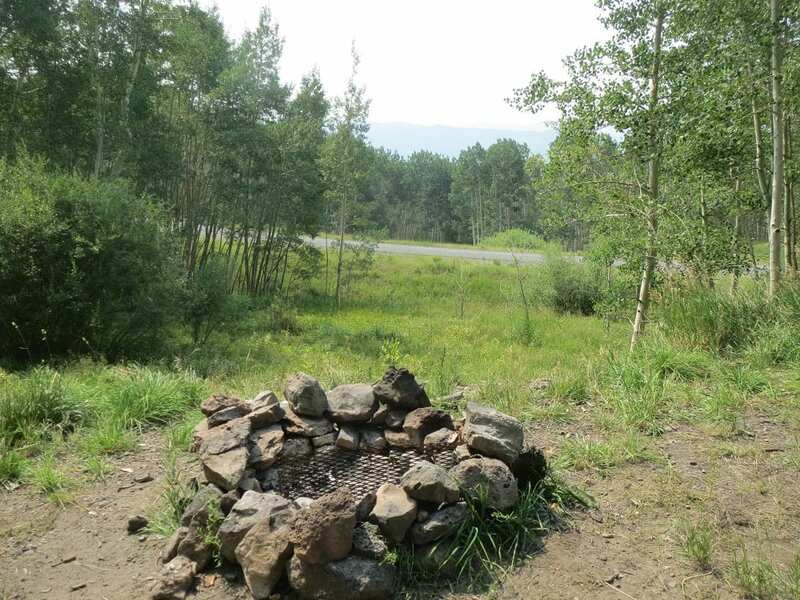 Campgrounds are located on both the Meeker and Yampa side of the byway, with the biggest cluster near Trappers Lake. 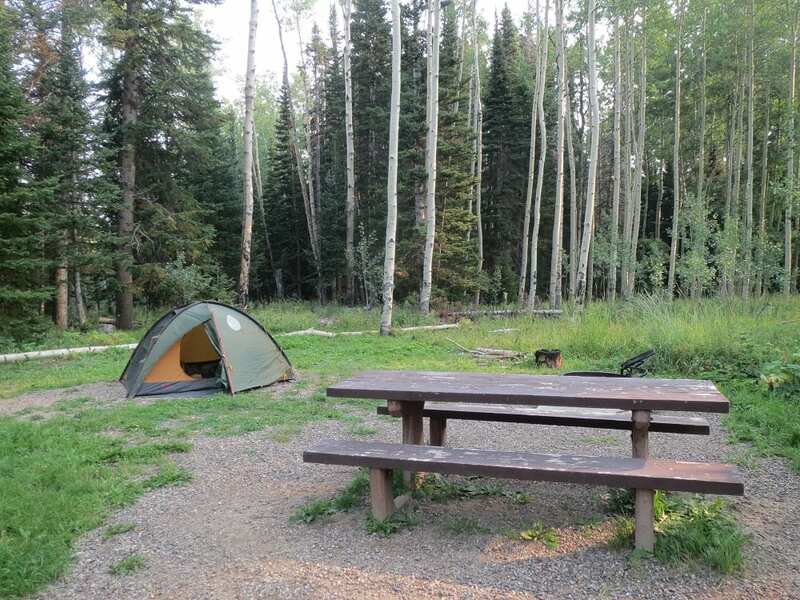 Dispersed camping is easy to find, not too far out of Yampa or Meeker. 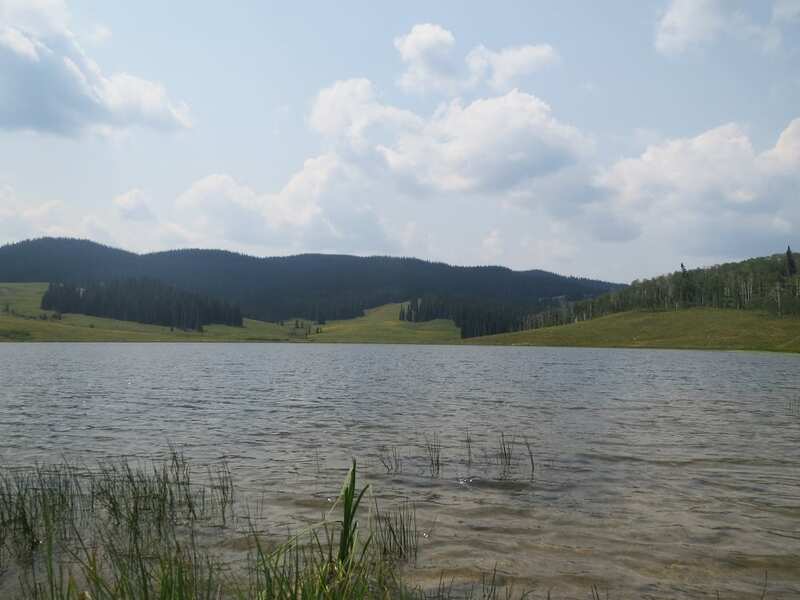 Fishing – Lake after lake can be accessed during the drive. 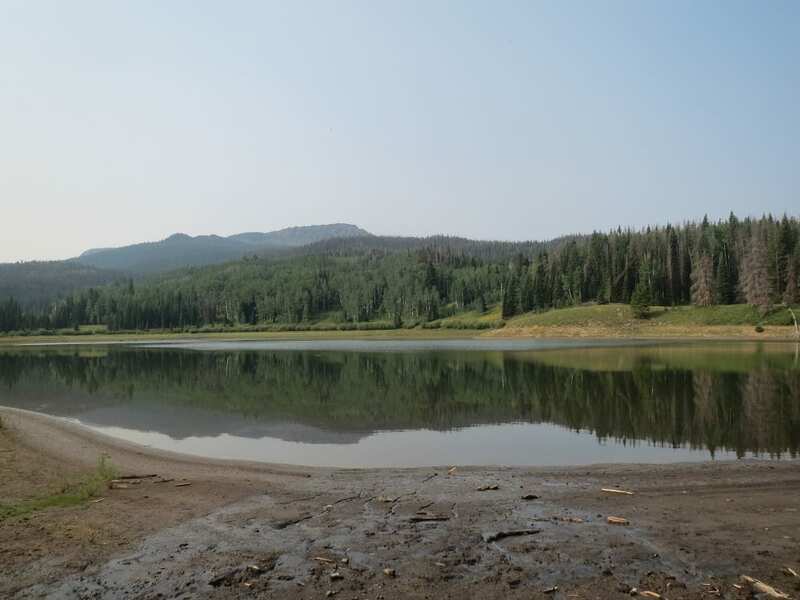 Chapman Reservoir is one of the closest to Yampa. Trappers Lake is the biggest and has long been preserved from development, resulting in highest concentration of Colorado River cutthroats anywhere. Artificial flies and lures only. 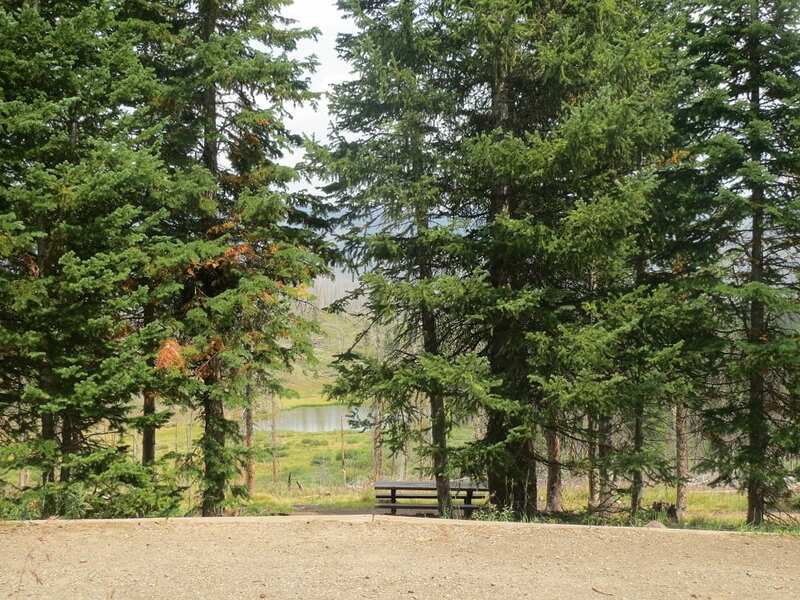 Hiking – There are numerous places to park your car and walk around during the 4 hour drive.​ Trappers Lake is a great detour, with a 5.5 miles trek around the lake. 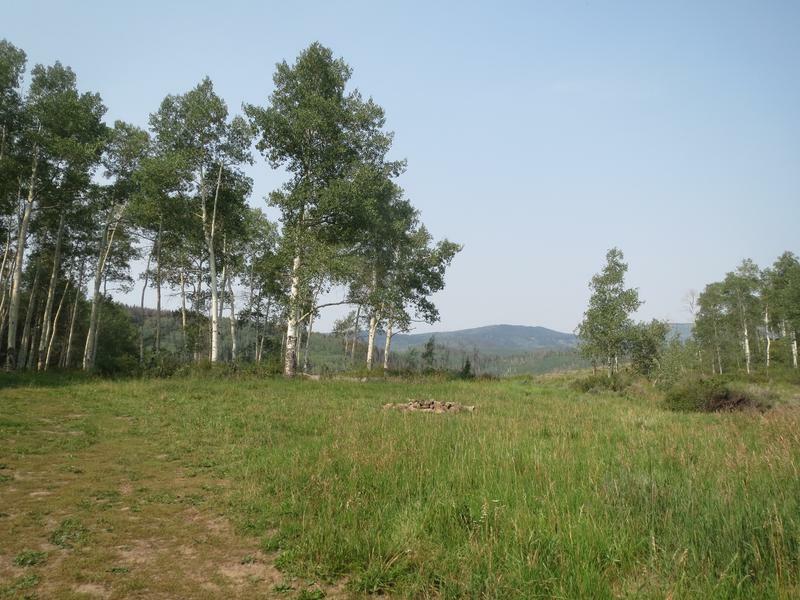 Horseback Riding – Permitted on several multi-use trails in the national forests. 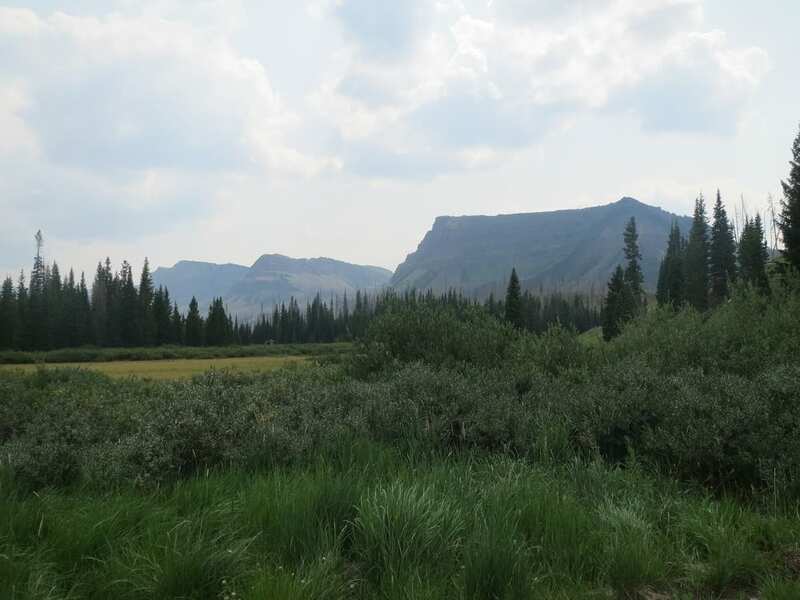 Hunting – The Flat Tops Wilderness is accessible along much of the byway, with plenty of places to hunt during established seasons. 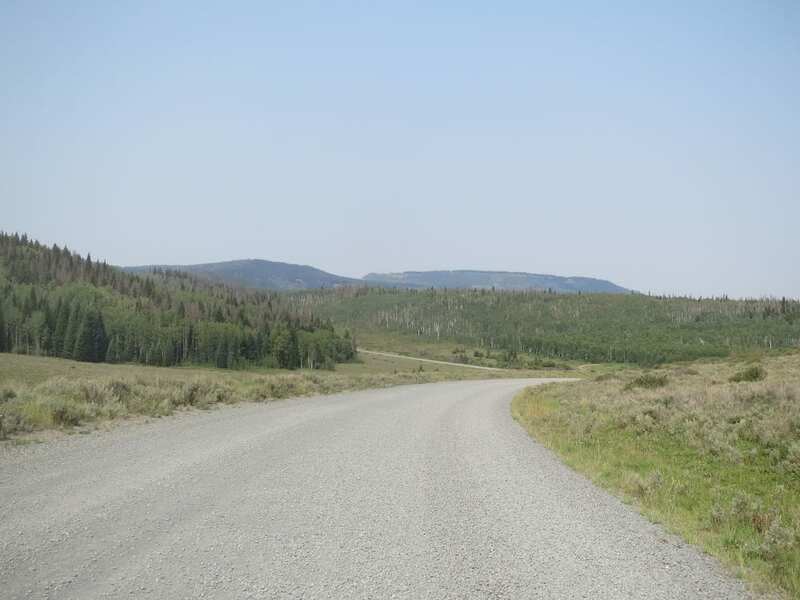 OHV – Permitted on certain multi-use trails and roads. 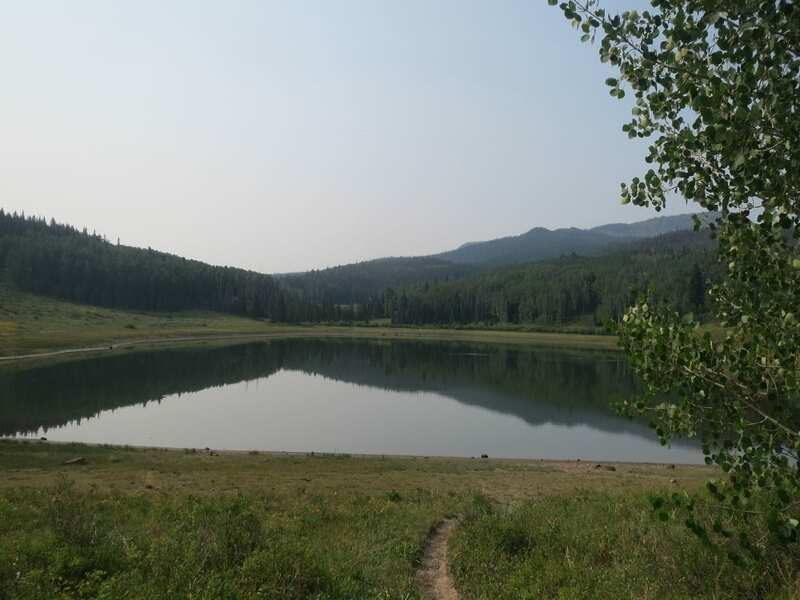 Scenic Drives – In addition to sights along the 82-mile-stretch, take the ten mile detour down to Trappers Lake for the second or so largest natural lake in Colorado (behind Grand Lake and Lake San Cristobal also claims second largest). Winter – Cross county skiing, snowmobiling and snowshoeing are common when there’s snow. 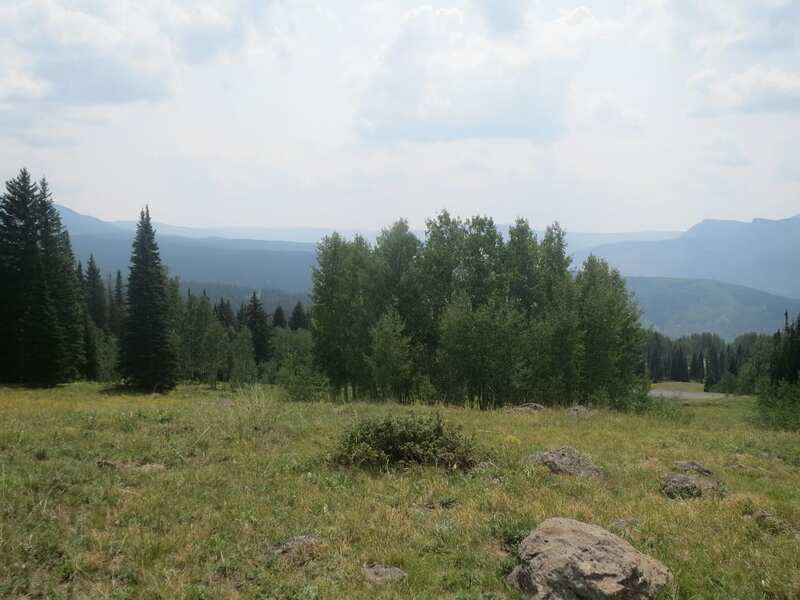 From Yampa – Take Co Rd 17 from downtown which becomes Co Rd 8/byway. 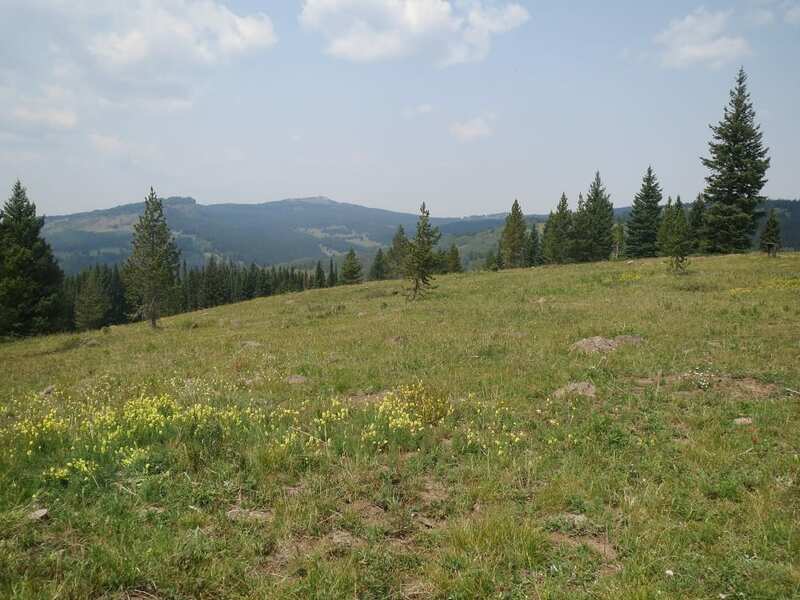 From Meeker – Take E Market St to Co Rd 8. The road is open June to October, depending on snow. Winter recreation is allowed, but the byway from Yampa isn’t plowed. The sun is setting so time to find a campsite. 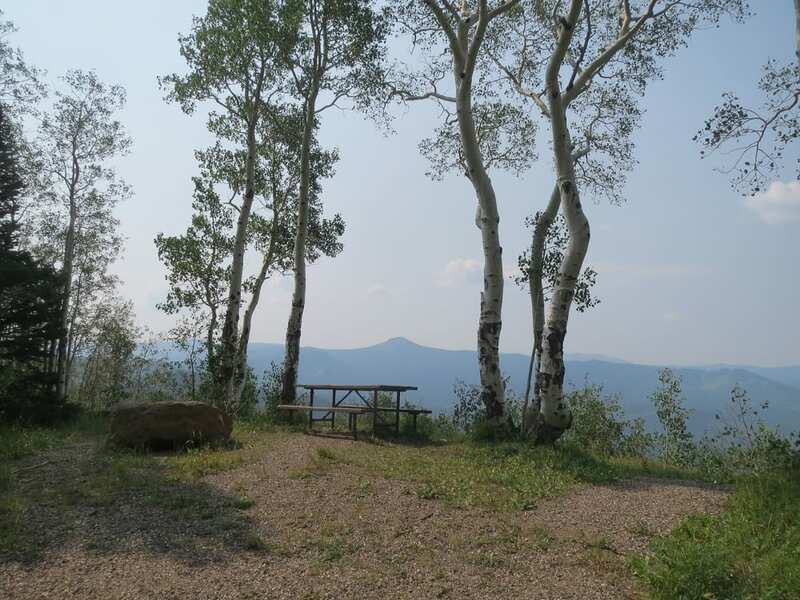 Chapman Lake Campground is one of the closest to Yampa -$10/night - in retrospect I would have camped for free along the byway. A short walk to Chapman Lake for morning fishing. 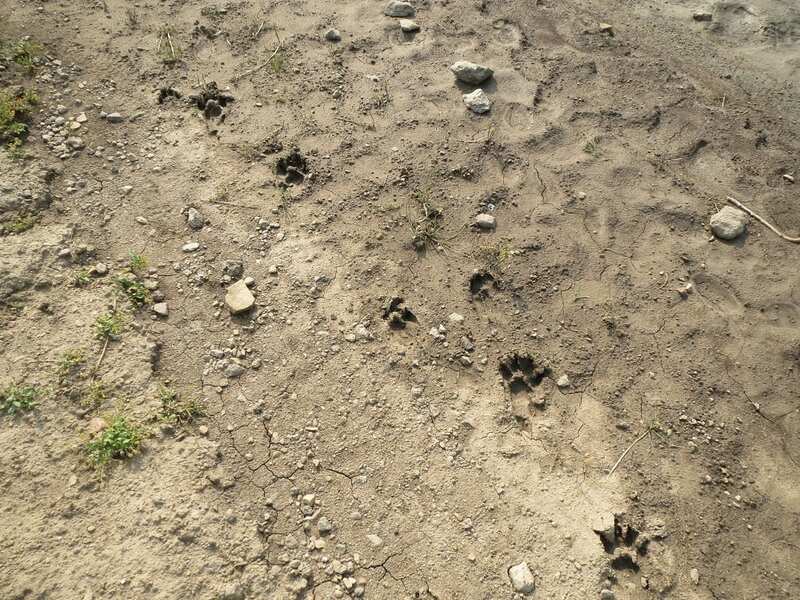 Suspected mountain lion tracks by the lake. Chapman Lake was completely secluded. 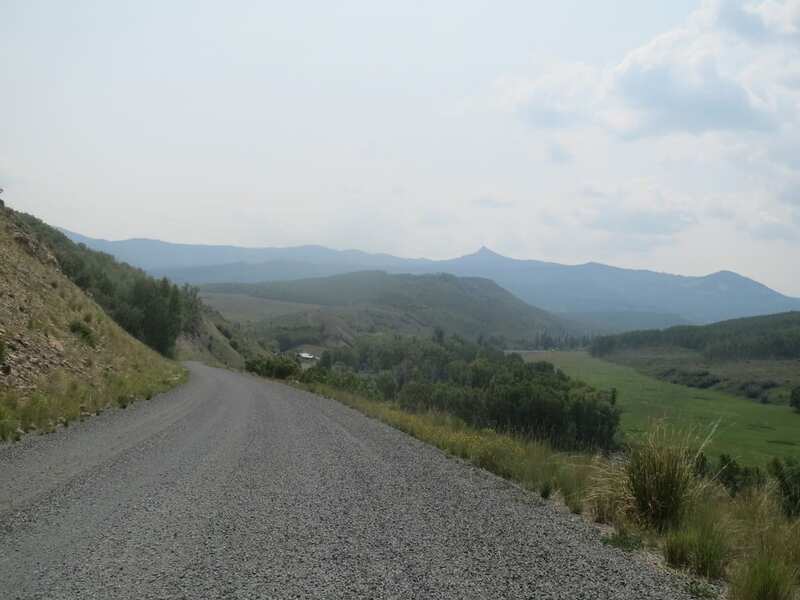 The Yampa side is a well-maintained gravel road. A sweet fire pit with grate. 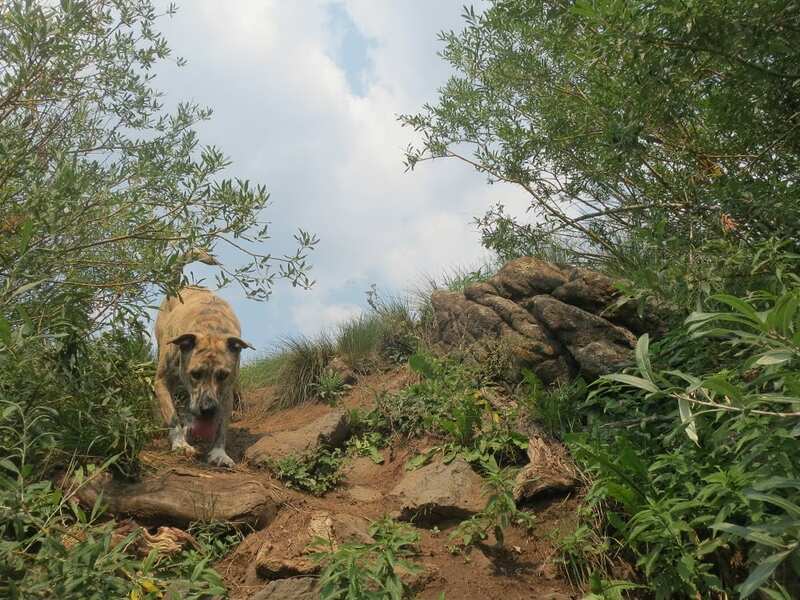 One of the most unexpected events in the trip was this guardian dog nearly running my car off the road. Another lake on the way, Vaughan Lake, has a campground. 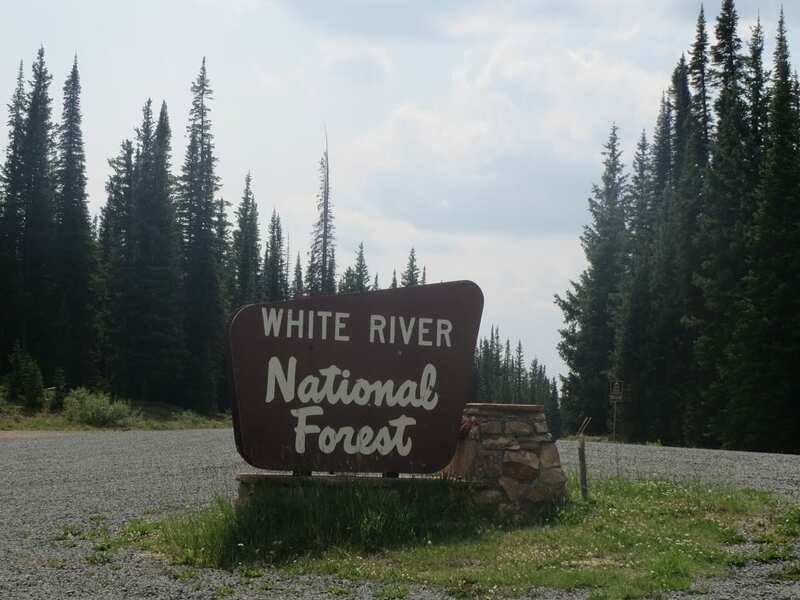 Entering the White River National Forest. 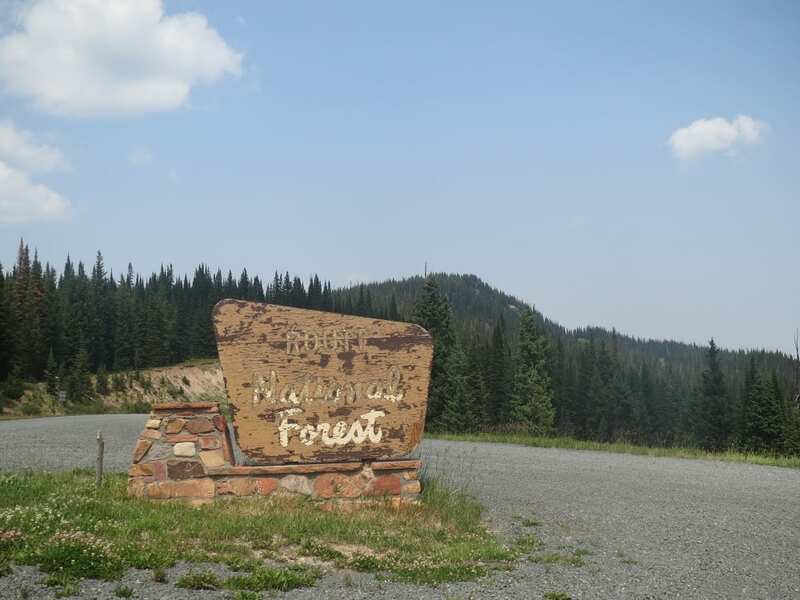 And leaving Routt National Forest. 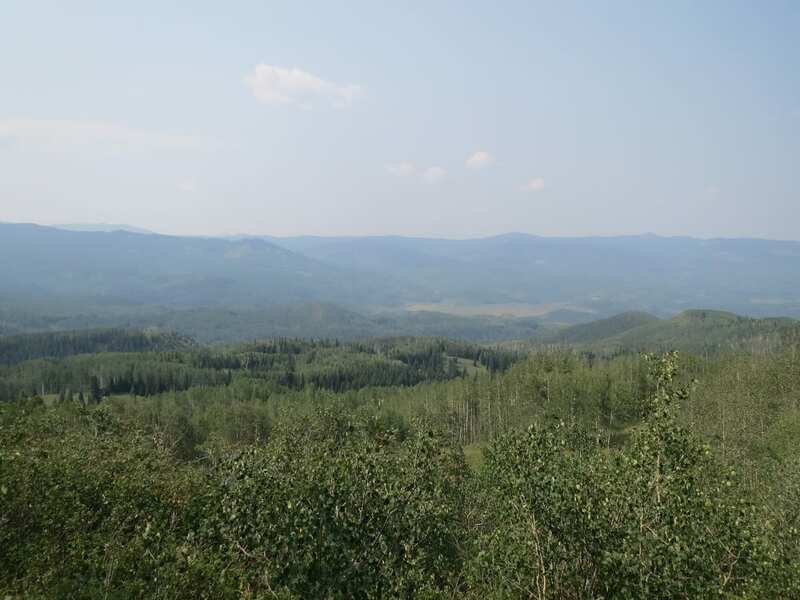 The Ripple Creek Pass Overlook. 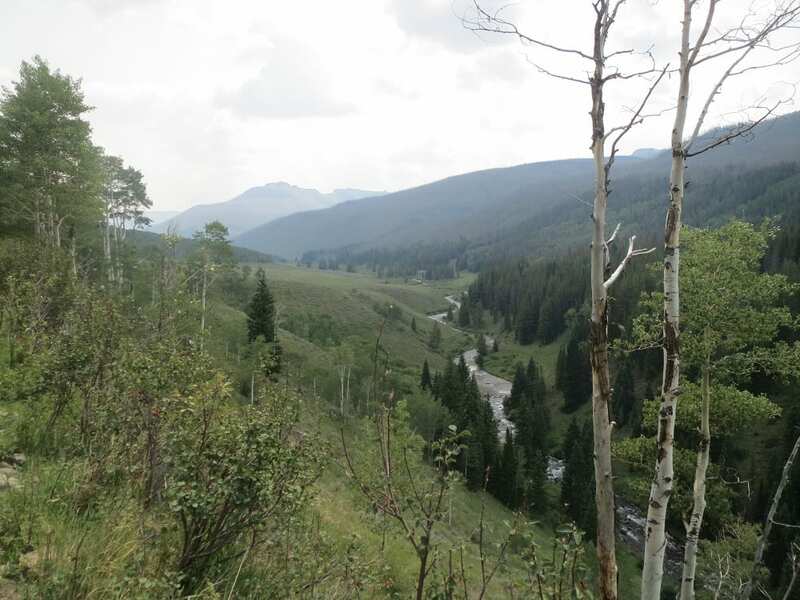 The Ripple Creek Pass is the second and last mountain pass. 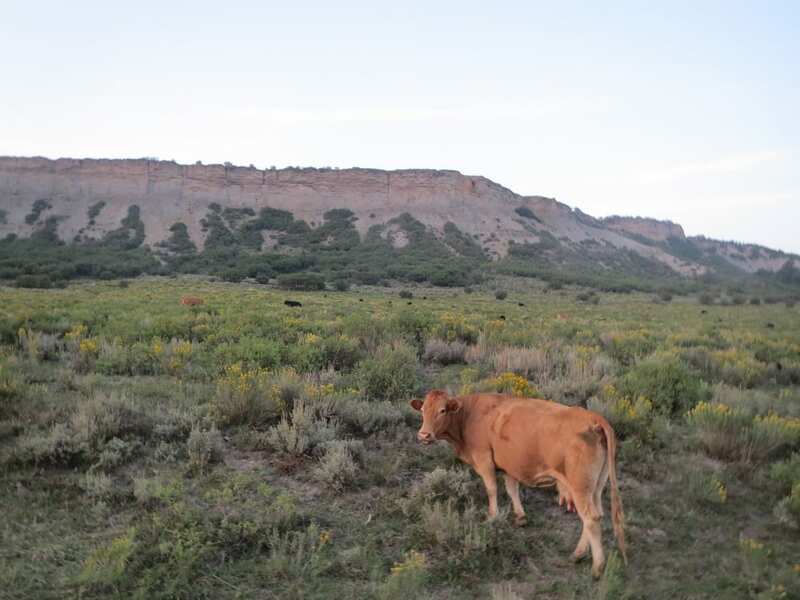 A cow on on the hill. Coming down the Ripple Creek Pass. Taking a 10 miles detour to Trappers Lake. 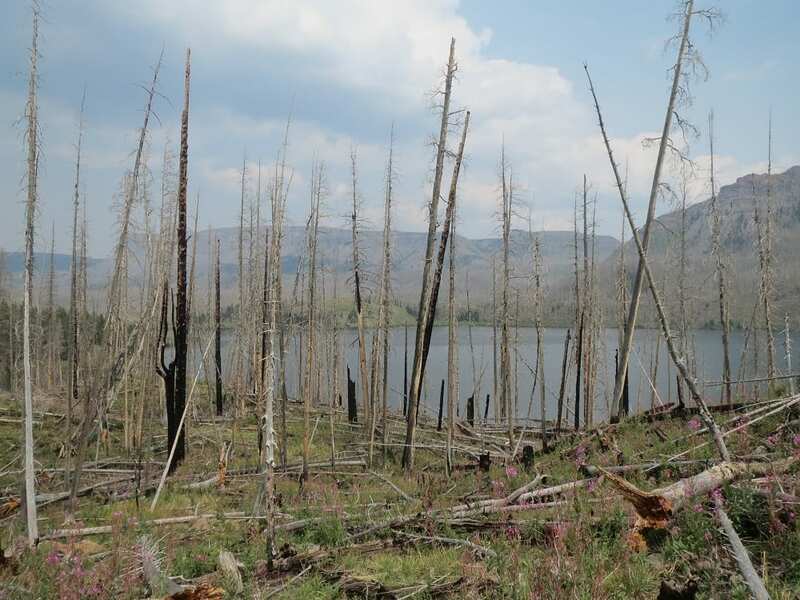 Approaching the aftermath of the 2002 Big Fish Fire. 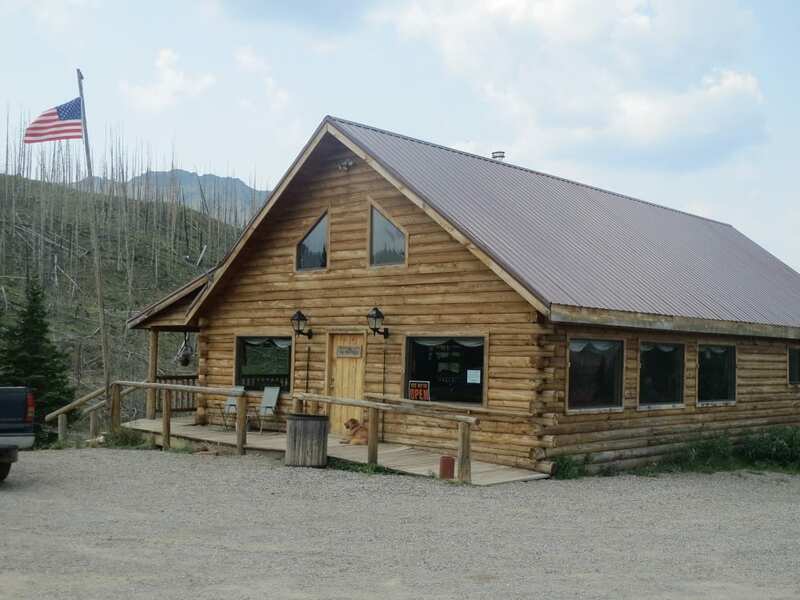 The Trappers Lake Lodge has a restaurant and bar, as well as horse, boat, and cabin rentals. More views near Trappers Lake. A campground at Trappers Lake. Another campsite near Trappers Lake. 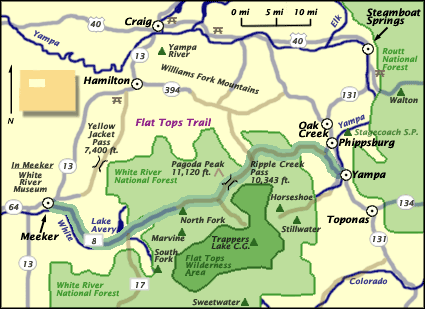 The Flat Tops Wilderness surrounds Trappers Lake. 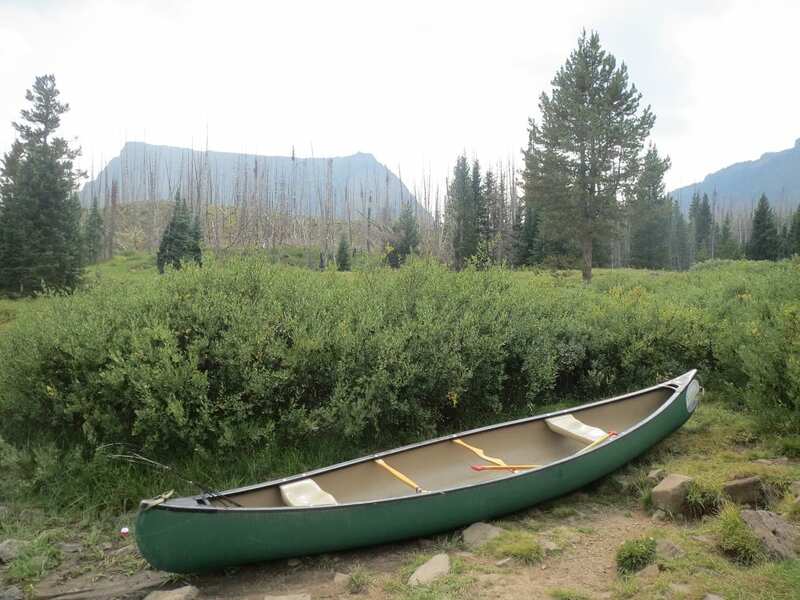 The Trappers Lake Lodge rents canoes. 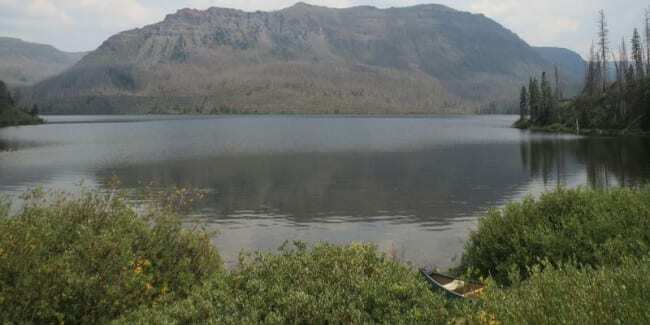 Trappers Lake is roughly 300 surface acres. There are several trails leading to the lake. Taking a swim in the 300-acre lake. 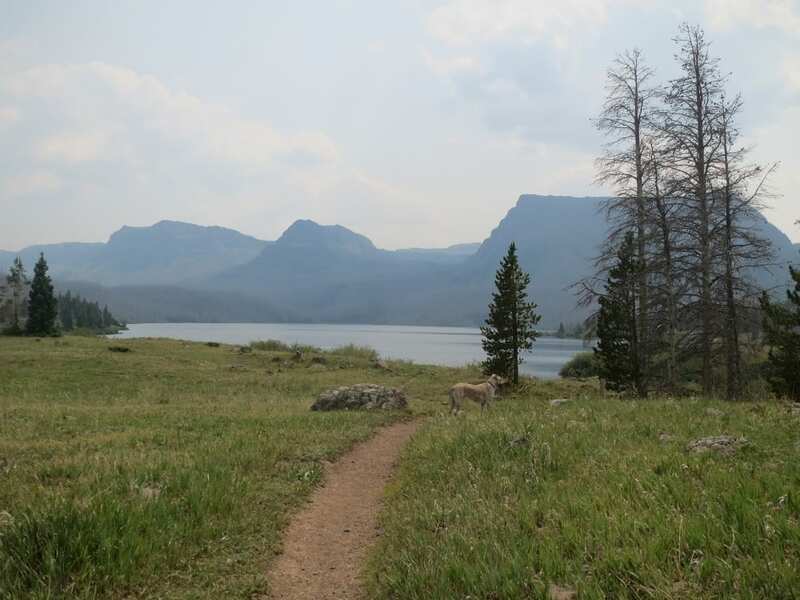 The trail around the whole lake is about 5.5 miles. The landscape closer to Meeker. 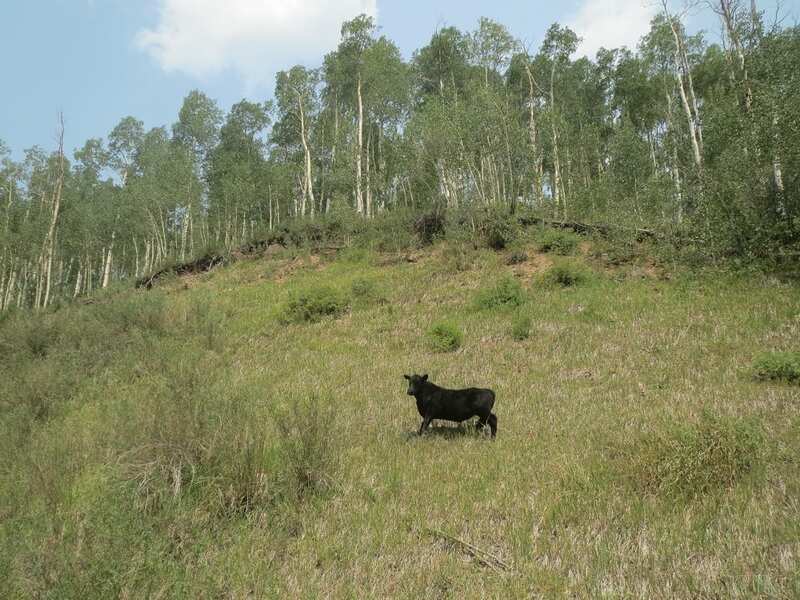 Cow looks on at the beginning of the Flat Tops in Yampa. 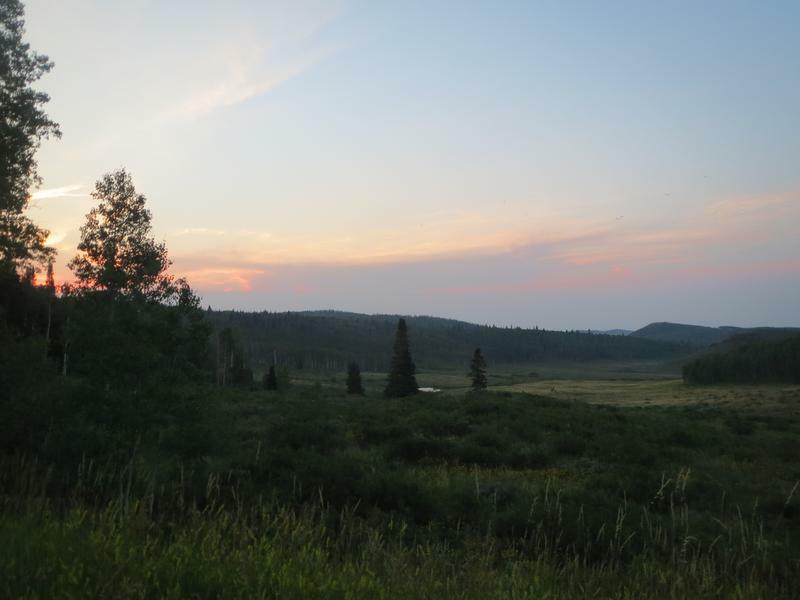 Sunset along the Flat Tops Byway. 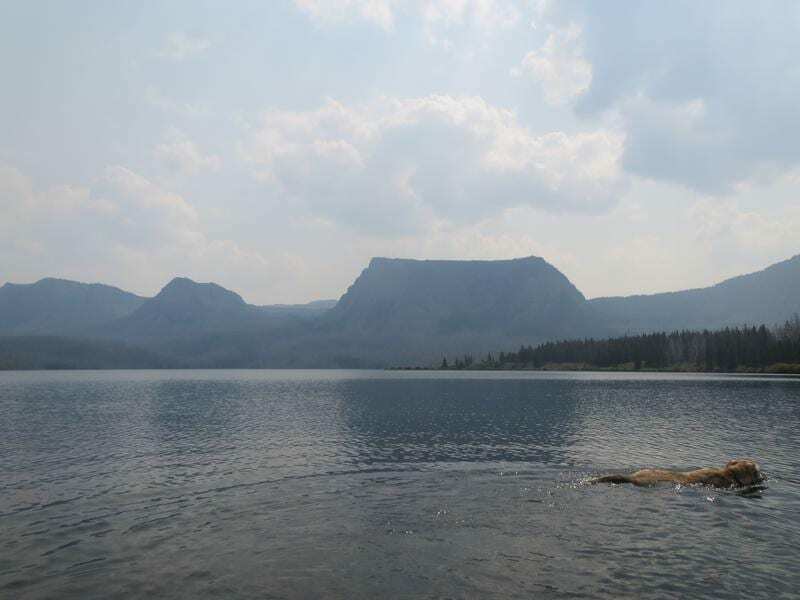 View from the campground at Chapman Lake. 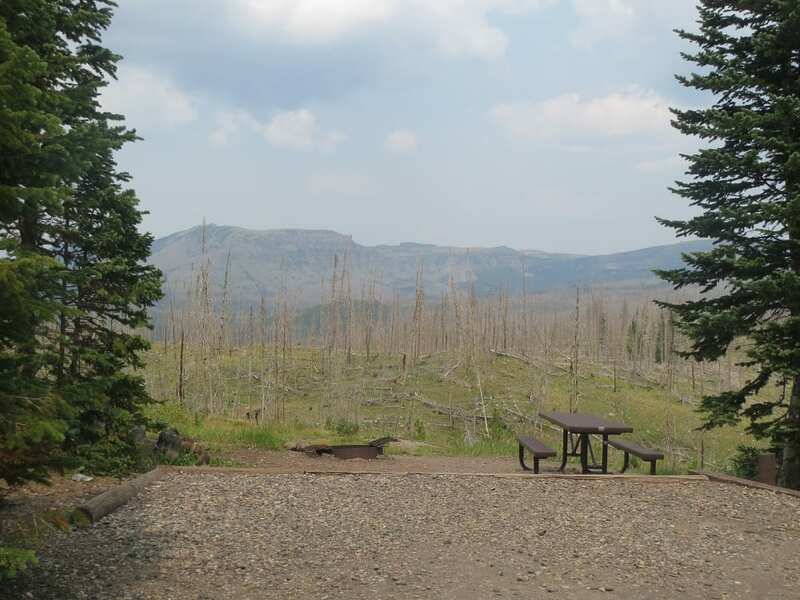 Site at Chapman Lake Campground. Primitive campsite on the side of the byway. 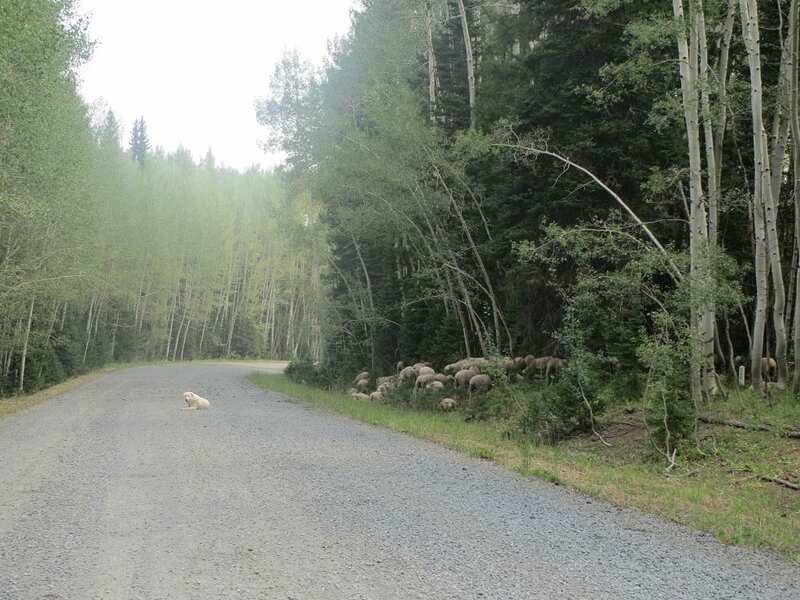 Yampa half is a smooth gravel road. 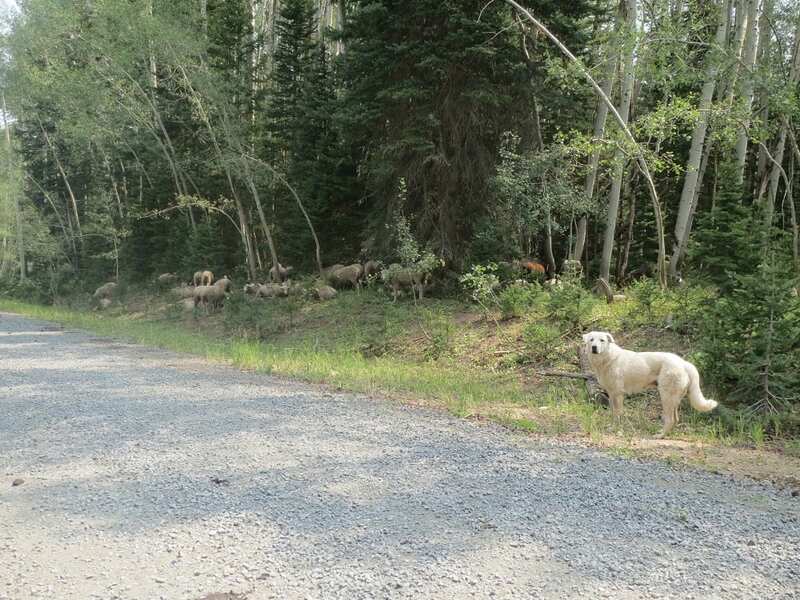 Guardian dog watches over a sheep herd on the byway. 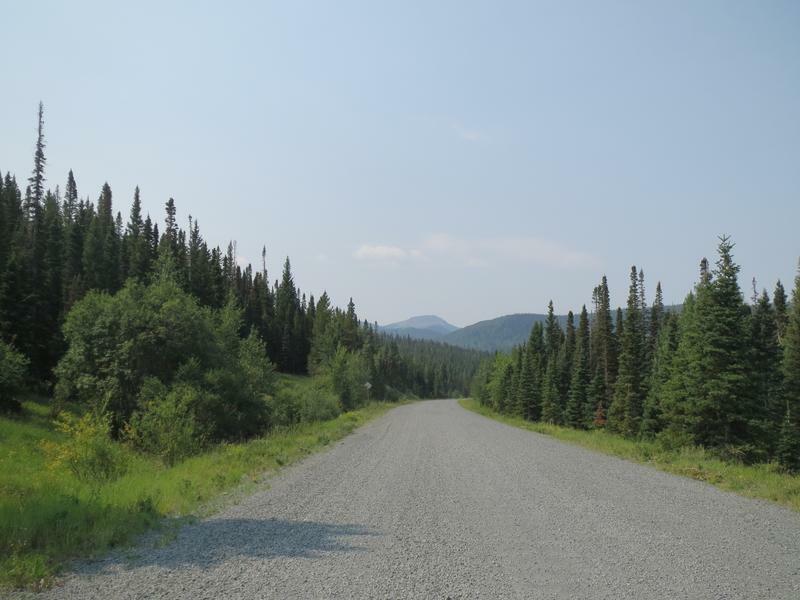 Road down to Trappers Lake. 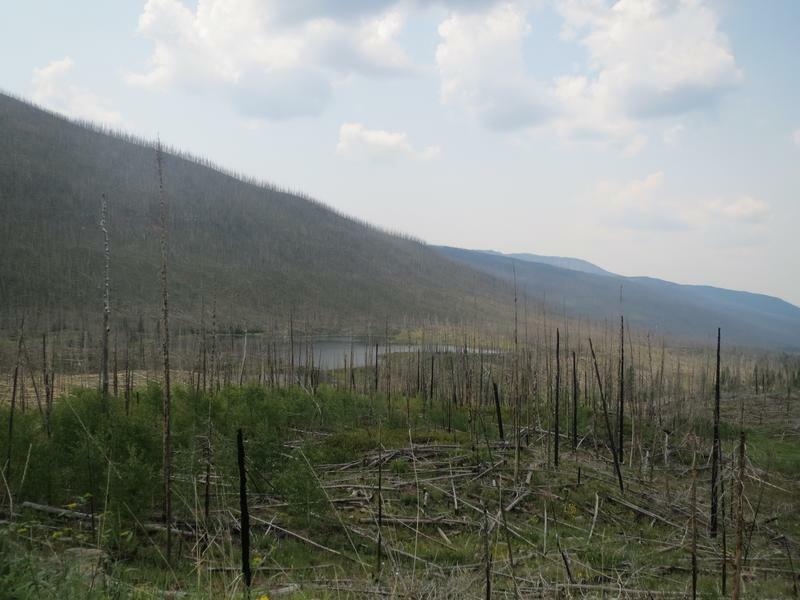 2002 Big Fish Fire blazed the land around Trappers Lake. 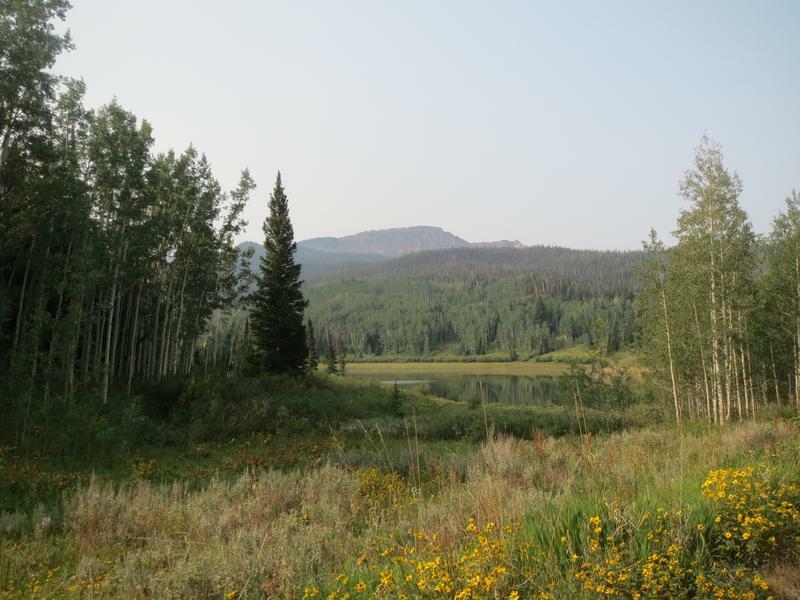 Trappers Lake lies at 9,600 feet. Taking a swim in Trappers Lake. 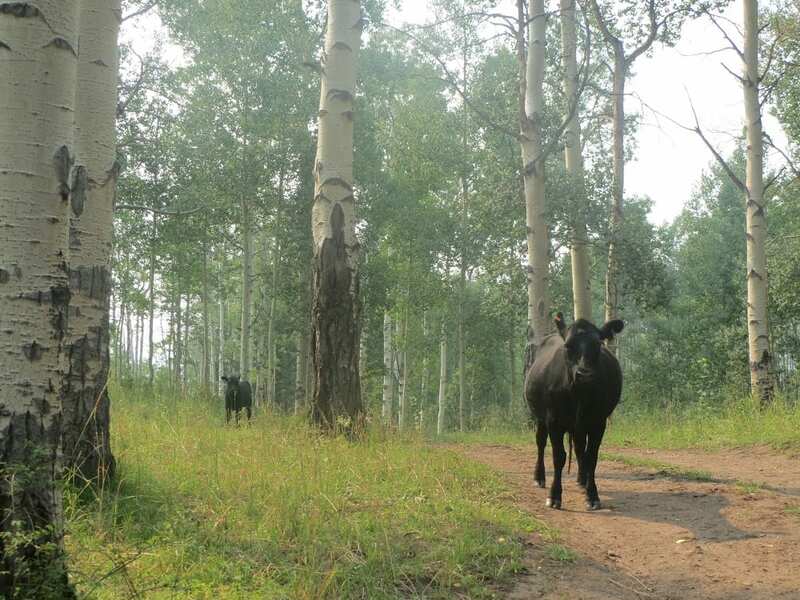 Couple cows stare down the trail. Trappers Lake, aka "Cradle of Wilderness", in the Flat Tops Wilderness. 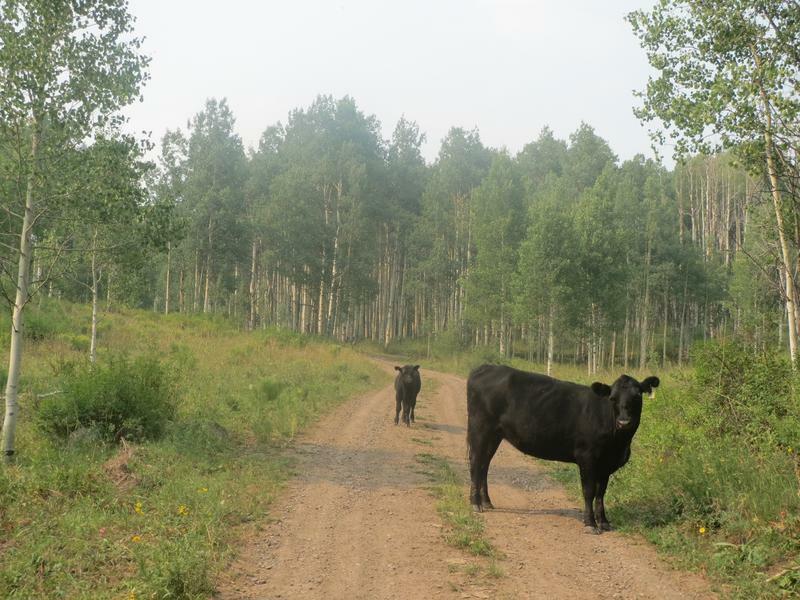 A cow says hello at the start of the Flat Tops in Yampa. 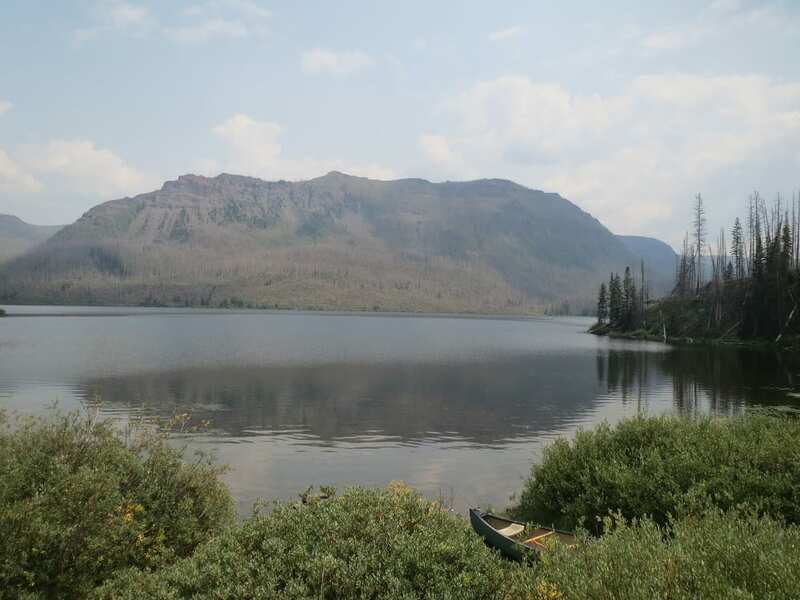 Trappers Lake in the Flat Tops Wilderness.